Val joined the Board of Aberlour in October 2009, was appointed as Chair in June 2014. She also sits on both the Finance Committee and the Nomination and Succession Committee. Val started her career in the voluntary sector where she worked in the social care sector, primarily in the areas of homelessness and addictions, for 14 years. Whilst part of the senior management team of the Talbot Association, a Glasgow based charity, she returned to the University of Strathclyde to study law. Following completion of her law degree, she left the voluntary sector to train as a solicitor with Scottish law firm MacRoberts. Now a partner in MacRoberts IPTC Group, she specialises in IP and IT law having a particular interest in information management, data security and compliance issues, and is a frequent author and speaker in these areas. 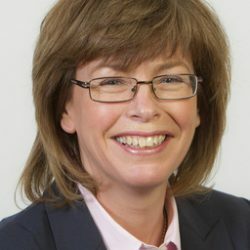 Val also has extensive experience of charity law and heads up MacRoberts Charity Law Group working with a wide range of charities across Scotland and further afield.